Even if at the iPad launch some people rushed to criticize Apple’s new device, the PC tablet of American company managed in a very short time to revolutionize the global market of portables and to dictate the trends for the next years. The argument of iPad success stands in other similar products launched by Apple competitors and the extraordinary appetite of consumer for such a gadget. If you already have an iPad or you are planning to buy one soon you should know a few tricks that will help you to make the tablet more productive and easier to use. Writing an email or text with iPad can be easier if you use these “tricks” for the choice of type .org, .net, ,us, .edu everything you need to do is hold down the “button” .com – will immediately see a menu where you can choose the area you want, not to press every key. 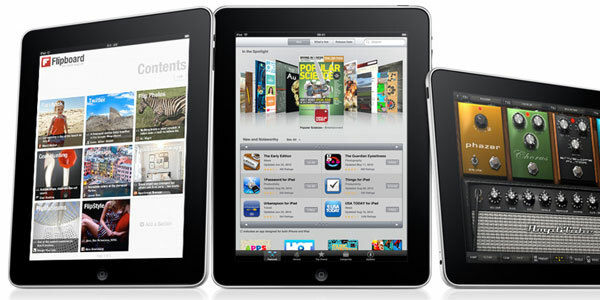 Streaming content from Apple’s device was made possible with software update 4.3. Here is what you have to do to synchronize or transfer content, such as between an iPhone and an iPad: Home Sharing is in iTunes (10) – Mac or PC. Go to Advanced, then click Turn on Home Sharing, then enter the Apple ID and password. Then go to configure the iPhone (or iPad). Go to the Settings menu, iPod and enter and here introduce the Apple ID and password. READ Sync Photos to the iPad and Get an Instant Digital Photo Frame! The Application (and iTunes in general) accepts only 5 devices. After these settings go to your iPod from your iPhone, go into the menu “More”, then click Share and select the device that you want to establish a connection. Okay, now you can access the desired files from multiple Apple devices. Native, the iPad main screen can not be displayed on a monitor (and this is the part of the peculiarities of Apple). The problem can be solved through a jailbreak as those from Cnet say. You will need an iPad (obviously), a dedicated VGA out cable, a monitor or projector (which has VGA input). You will also need the software that makes it possible the jailbreak – Spirit. After the jailbreak operation, on the screen of iPad will appear the Cydia icon. In Cydia search (in the Search option) and select DiplayOut (the application cost $2). After the installation of Display Out, go to Settings, then Extensions, and here you will find Display Out. I’ll give “Enable”. Connect VGA cable to iPad and you have the picture as desktop wallpaper.